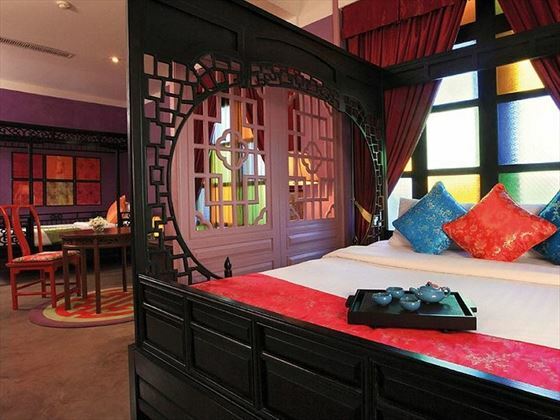 Glamorous, luxurious, romantic…Shanghai Mansion Bangkok certainly shows why it’s award winning. 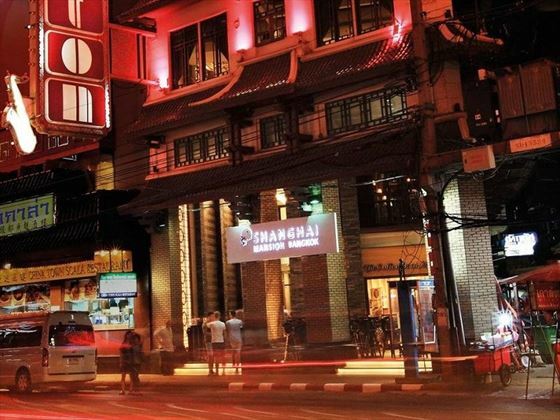 Nestled in the heart of Bangkok’s colourful Chinatown, Shanghai Mansion Bangkok’s contemporary yet traditional charm makes this a brilliant spot to explore everything this lively destination has to offer. 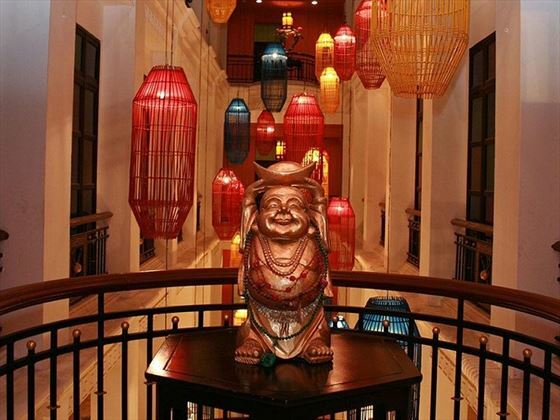 The entire hotel is decorated in classic Chinese style, yet with a touch of modernity. 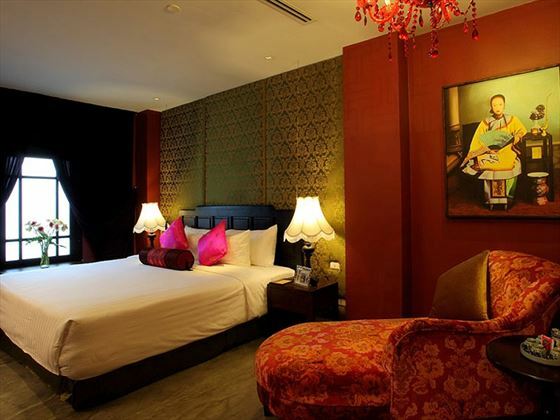 The Ying Hua Deluxe Rooms are beautifully inspired by cherry blossoms, whilst the Mu Dan Suites are classy and offer cool glamour. 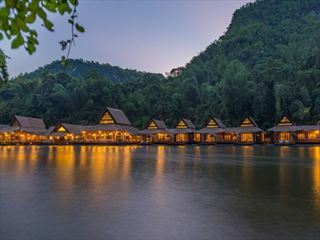 Families are well-appointed for too, with colourful Family Suites offering plenty of space. 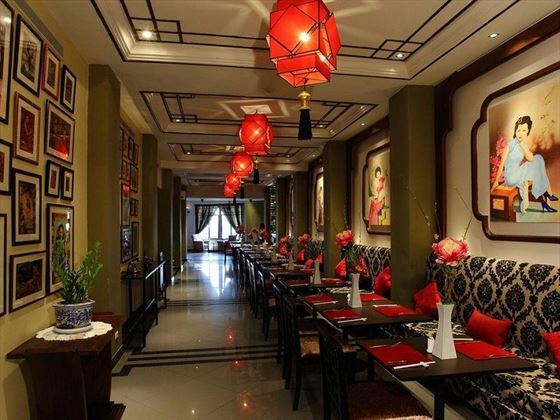 Bangkok’s Chinatown is filled with amazing restaurants, but we’d recommend giving the hotel’s Red Rose Restaurant a try. 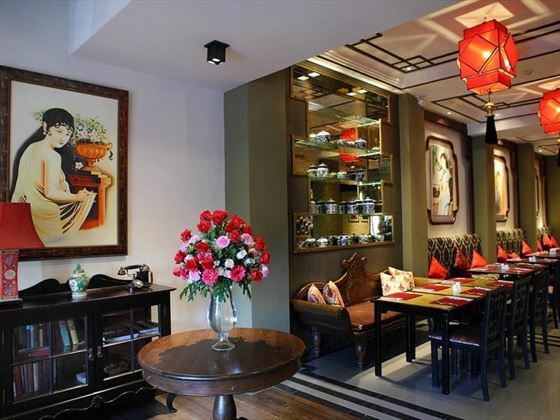 Inspired by past emperors’ simplistic yet sublime fine-dining meals, this restaurant offers flavoursome dishes created with age-old Chinese techniques. Don’t forget the Shanghai Terrace either, a hip Jazz Lounge offering sensational views of Chinatown, served with a refreshing cocktail. 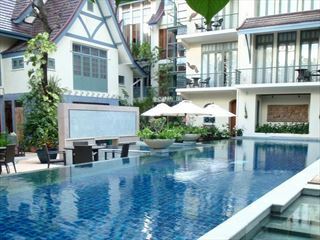 The hotel is located in Bangkok’s most vibrant Chinatown – Yaowarat. 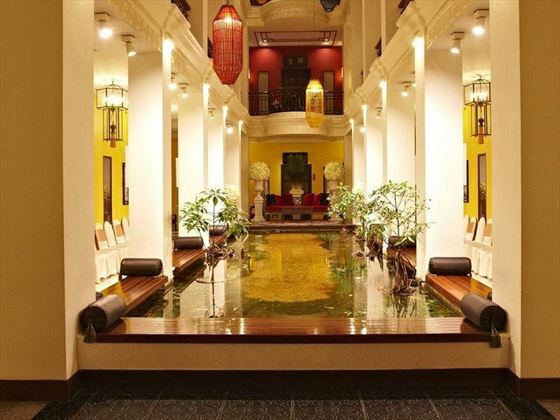 Steeped in rich heritage yet offering decadent modernity, this is a brilliant spot to stay at should you fancy delving into Bangkok’s vibrant culture and have lots of fun along the way. 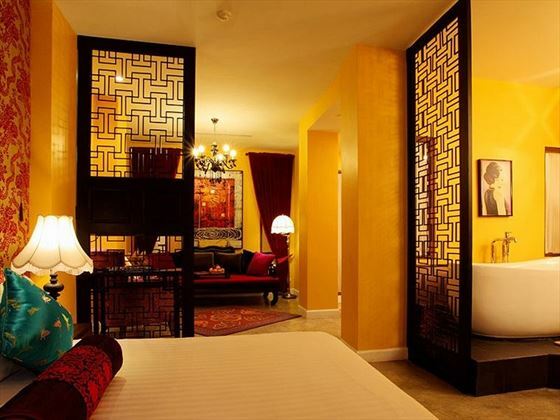 Mei Hua Superior Rooms – Gorgeous rooms featuring a classic oriental four-poster bed, old world furnishings, and plenty of space to relax. 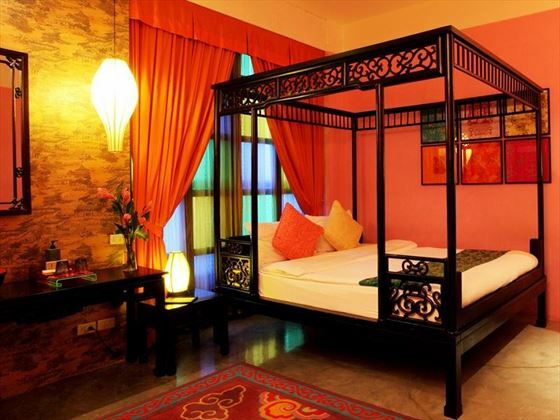 Ying Hua Deluxe Rooms – Known as ‘cherry blossom’ rooms, these rooms adopt a fresh, spring vibe, with plenty of traditional florals and delicate silks. The free standing bathtub is perfect to relax in after a day of sightseeing, and you’ll receive butler service. 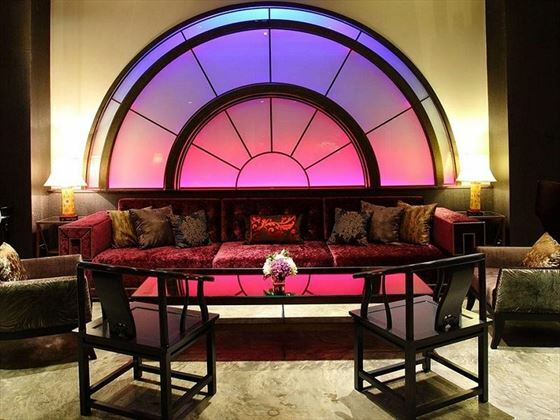 Mu Dan Suite – Lux interiors make these suites some of the most sophisticated and luxurious. Featuring a spacious sitting area, a daybed, a classic four poster bed, and a freestanding bathtub. Choose between Classic or Contemporary furnishings and décor. You’ll also receive butler service. Family Suites – Ranging from 48sqm-76sqm, these large, spacious suites are decorated in bright colours and traditional patterns, perfect for exciting the little ones. These suites sleep two adults and two children, or you can add an extra bed and sleep three children. Red Rose Restaurant – Inspired by past emperors’ elegant yet simple fine-dining meals, this lovely restaurant adopts age-old techniques to bring Chinese cuisine back to its roots, paired with strong whiskeys and plum wine. Cotton Breakfast Restaurant – An airy dining hall decorated with traditional furnishings, offering delicious buffet and a la carte breakfast cuisine with a gorgeous view of Yaowarat Road. 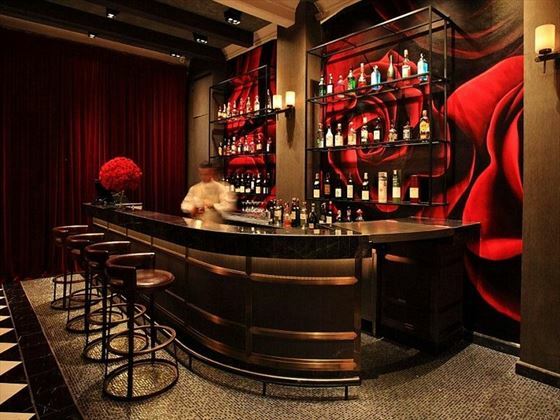 Shanghai Terrace – A cool and trendy Jazz Lounge inspired by Shanghai’s colourful nightlife full of music and wine. 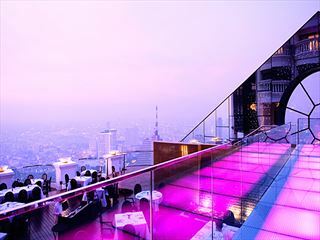 The open air terrace offers a front row view to Yaowarat Road, and is ideal for enjoying a flavoursome cocktail with friends. 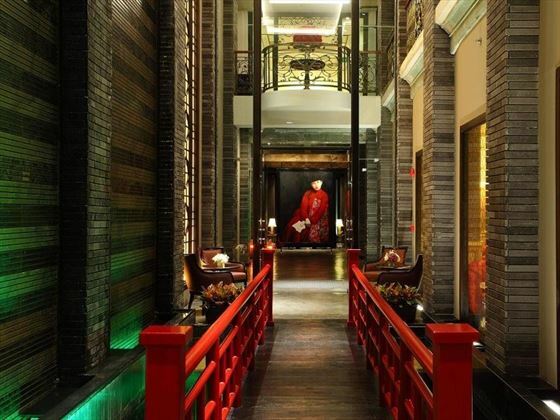 Spa Burasari - A traditional Chinese spa, offering natural therapies and a holistic approach to Eastern and Western practices.